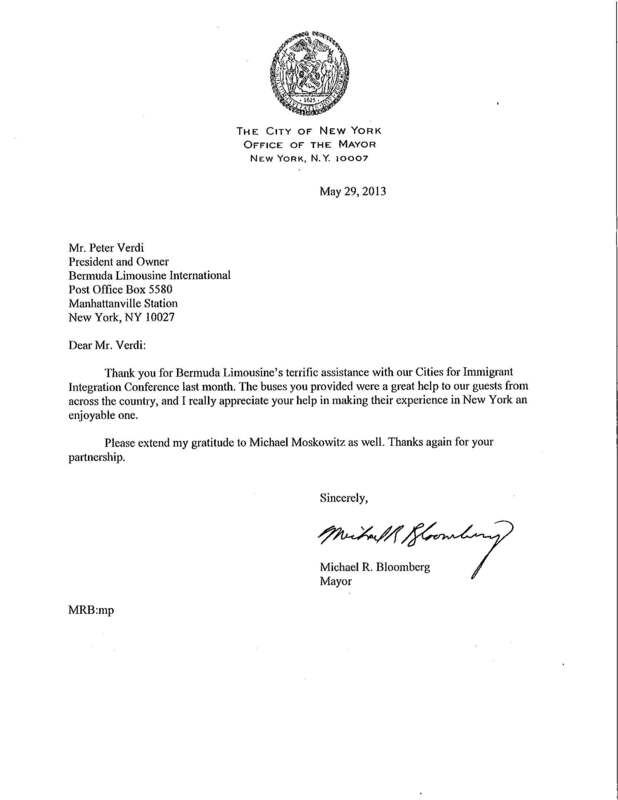 Thank you for Bermuda Limousine’s terrific assistance with our Cities for Immigrant Integration Conference last month. The buses you provided were a great help to our guests from across the country, and I really appreciate your help in making their experience in New York an enjoyable one. Please extend my gratitude to Michael Moskowitz as well. Thanks again for your partnership.